The Artist’s House is a cosy B&B with two bedrooms and two bathrooms perfect for accomodate up two six people. 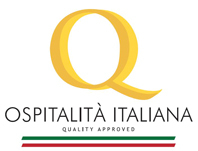 (click here for rates and conditions). 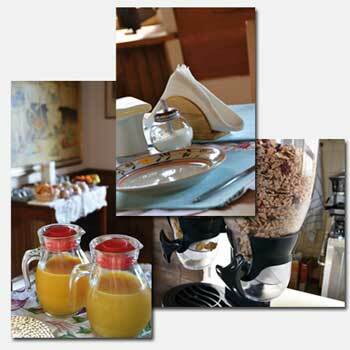 Our continental breakfast includes espresso, cappuccino, milk and corn flakes, fruit juices, jams, honey, butter, warm bread or croissants, fresh fruits, toasts. Adding to this, Marilena, the hostess, will choose for you from delicious cakes or muffins made with natural ingredients from our region. 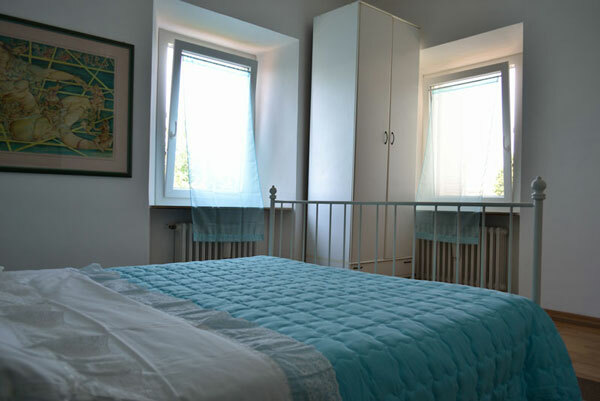 It’s the bigger bedroom, with two large windows three wardrobes and a con due ampie finestre, tre armadi and a bureau. We have here a king size bedroom and a queen size sofa-bed. If needed we can add a single bed. The smaller room, with a King size bed or two single beds. The bigger bathroom is the “vintage” part of the house. In effect, where possible, we kept the finishes of the 50’s. 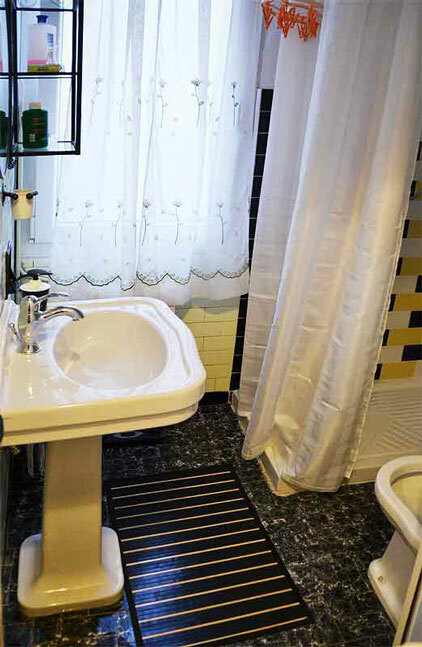 Original Wc, bidet and sink are changed with modern ones but with the same “Old England” style. 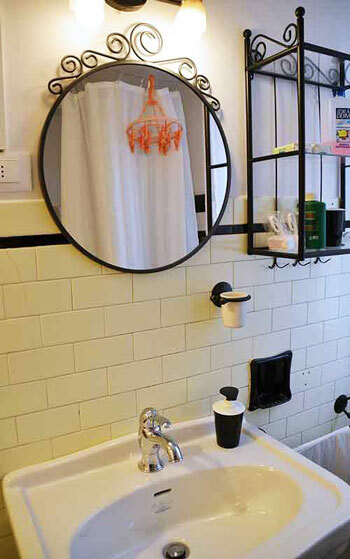 The second bathroom is small but it has all needed: water-bidet, sink, shower and mirror.